Ridgid’s 18-volt compressor, model R023, Ryobi’s model P739, DeWalt’s 60-volt model DCC2560T1. 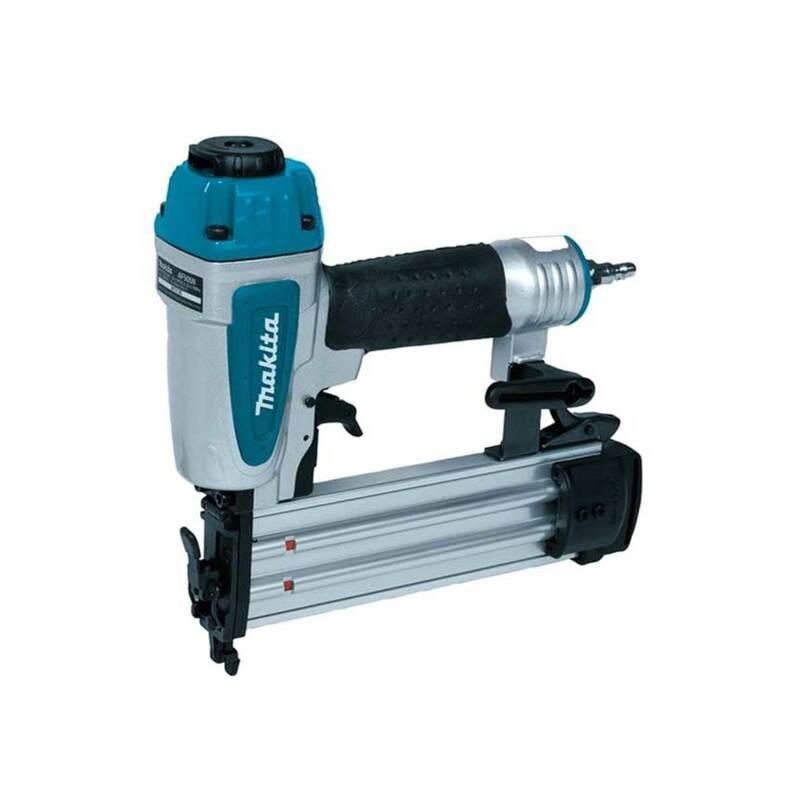 The biggest change in pneumatic tools of late seems to be batteries. A revolution in portable power over the last few years has changed the look of everything from pinners to staplers, especially on the jobsite. Most of the tools that woodworkers have traditionally used with compressed air now come in a more portable battery-powered version. But back at the workbench, many professionals still seem to prefer the feel and performance of hose-tied tools. You don’t have to recharge them or hoist the physical weight of a battery all day, and they’re really hard to misplace – just follow the hose! While cordless tools have come a very long way in a very short time, pneumatic tools are often more rugged, reliable, quiet and comfortable. That last consideration may prove ever more enticing as batteries continue to grow in size, power and weight. Plus, the advent of battery-powered compressors allows a woodworker to take advantage of the best of both worlds. We can now take our favorite pneumatic tools on the road with us and plug them into a cordless power source on any remote jobsite without having to yell over the sounds of a generator all day long. 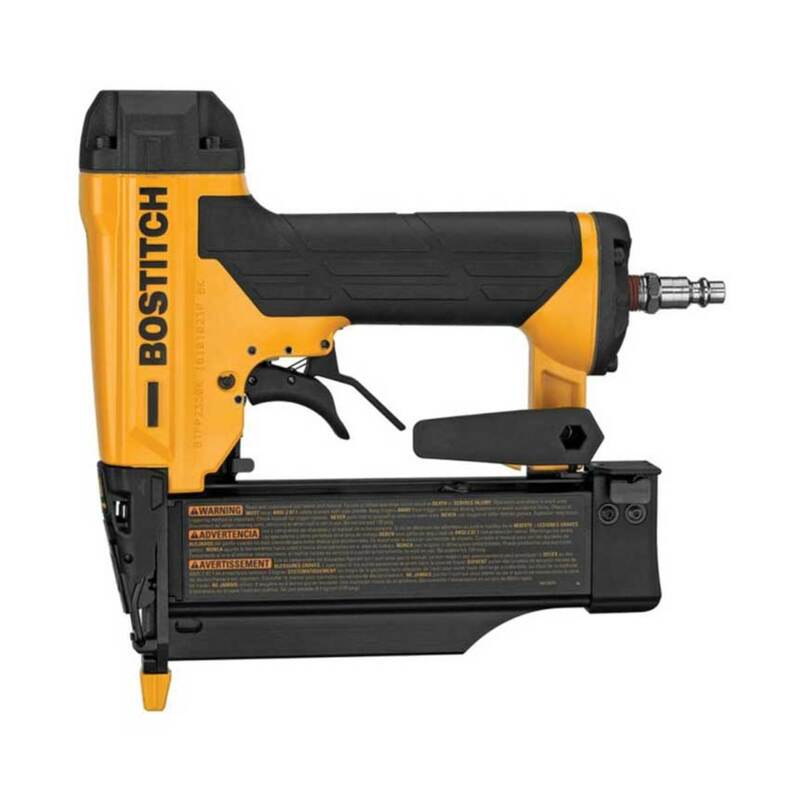 Bostitch (bostitch.com) has a fairly new 23-gauge pin nailer that has all the latest bells and whistles for pneumatic tools. The model BTFP2350K will deliver nails from 5/8” to 2” long from its 135-nail magazine, but its tool-free jam release and depth adjustment features are what really catch a woodworker’s eye. They keep the job on pace. Another nice feature is oil-free lubing, which means no chance of messing up a sensitive finish or running too hot because a rookie doesn’t know the maintenance routine. And the low nail lockout means an end to that sinking feeling when you mar a surface as the hammer slams on an empty chamber. Craftsman (craftsman.com), now owned by Stanley Black & Decker, offers new 16- and 18-gauge finish nailers, a 21-degree framing gun, and 18-gauge narrow crown stapler. The new guns have a red housing and a black handgrip, which sets them apart from older models still on the shelves. 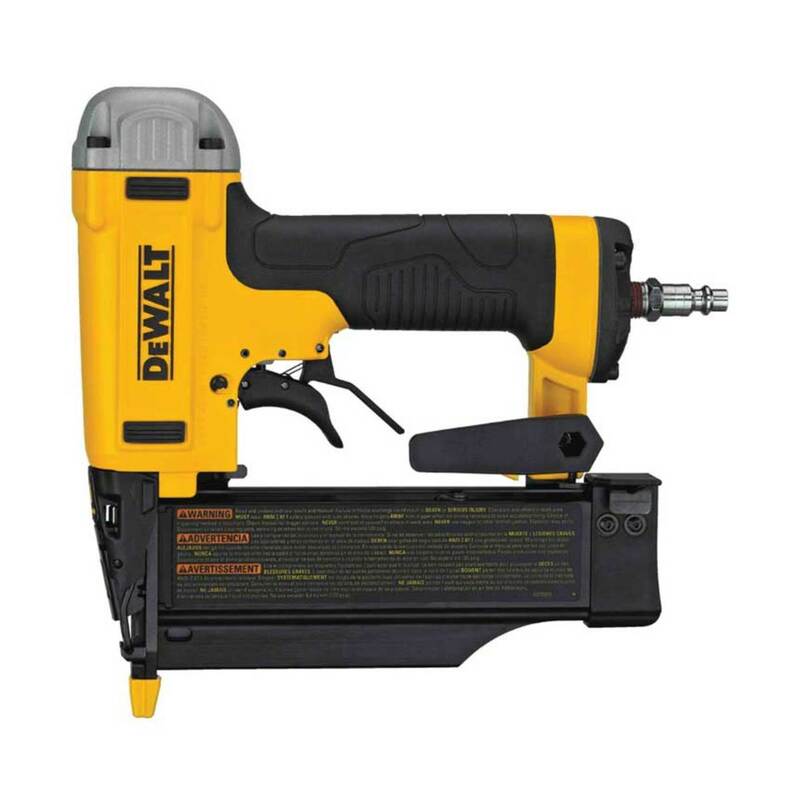 DeWalt’s latest offering, model DWFP2350K, is a 23-gauge headless pin nailer that comes with a seven-year limited warranty, one-year of free service and a 90-day money back guarantee. It, too, has all the bells of the Bostitch, including a low nail lockout with a bypass that lets one use the last few nails in the magazine after the alert. Learn more at dewalt.com. 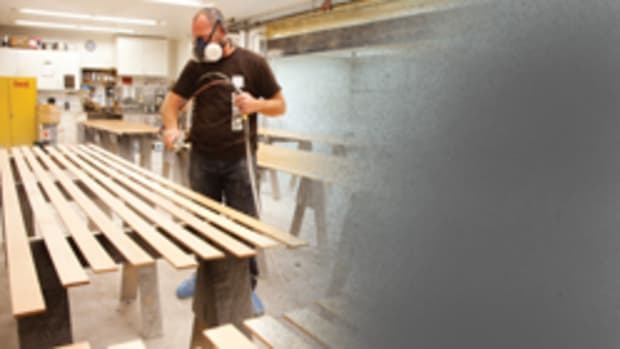 Grex (grexusa.com) continues to impress the industry with innovations that seek to make a woodworker’s day a little easier. 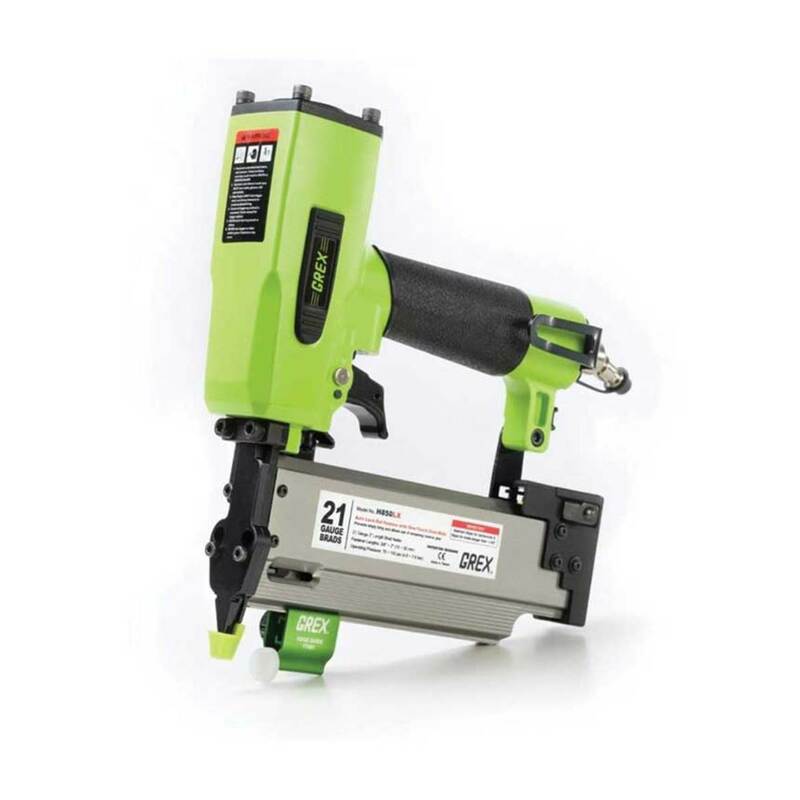 Among the company’s latest is the model H850LX 21-gauge brad nailer, which offers a middle ground between the small holes size left by a 23-gauge pin and the holding strength of an 18-gauge brad nail, according to the company. The gun also has an integrated edge guide that helps keep it parallel to the work. Makita (makitatools.com) has announced that its new 18-gauge brad nailer, model AF506, will be available in early 2019. Driving brad nails from 5/8” to 2”, it has a narrow nose design for access in confined areas. The company is also introducing a new 3-1/2” framing nail gun, the AN924, that has a convenient top-load design. 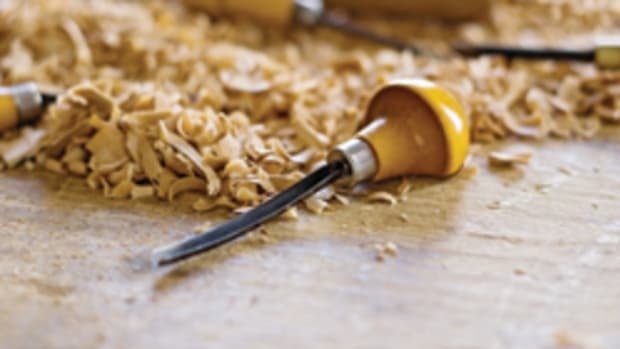 Paslode (paslode.com) has four new pneumatic tools in its woodshop arsenal, including a 16-gauge straight finish nailer, 18-gauge brad nailer, and 16-gauge 1/2” and 15/16” staplers. Porter-Cable’s newest brad nailer, model BN200c, has been out for a while, so there are some reviews online. It has a strong and lightweight magnesium body, a removable non-marring nose tip with on-tool storage, low nail indicator and a special hardened driver blade for longer life. There’s more at portercable.com. 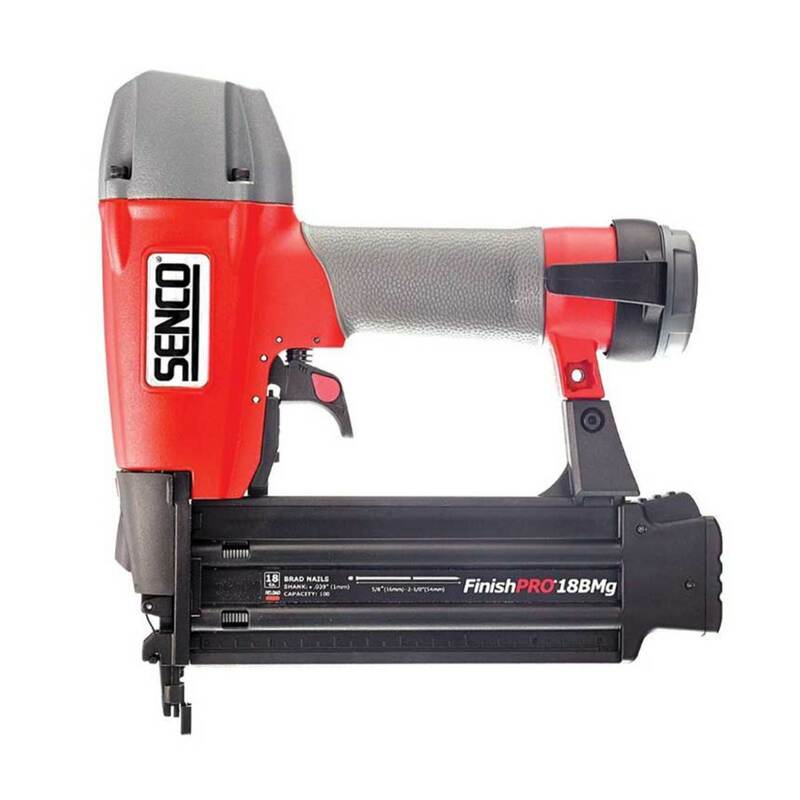 Introduced a couple of years ago, Senco’s magnesium body finish nailer, the 18BMg, accepts 5/8” to 2-1/2” 18-gauge nails. That extra 1/2” can come in real handy sometimes. It has bump and sequential firing (multiple fast or individual delivery), a nose-mounted light, 360-degree exhaust port (point the blast away from you or your work), a reload indicator and adjustable depth that’s as easy as turning a thumbwheel. 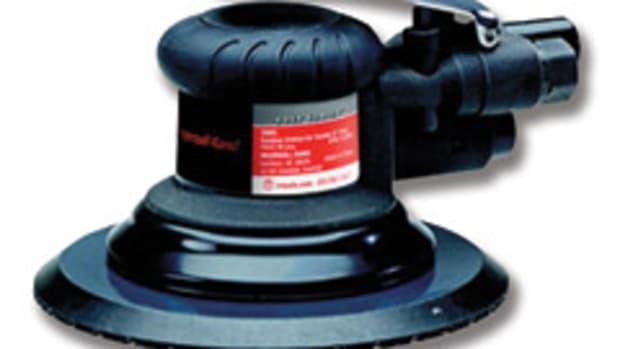 Plus, a swivel air inlet avoids hose kinks. More at senco.com. One of the strongest arguments for pneumatic tools is that they’re quiet. 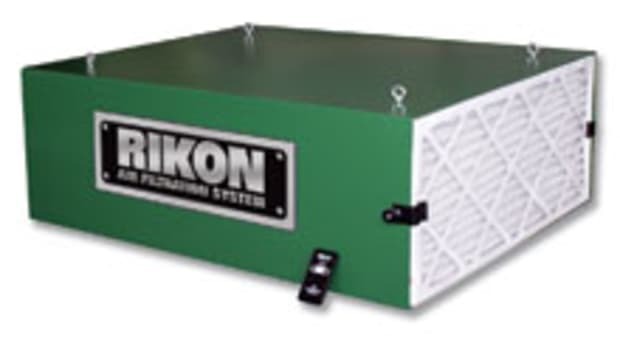 Unfortunately, the generator and compressor set-ups needed to run them on a jobsite are not. So, woodworkers have increasingly turned to small, battery-powered compressors of late, especially for install jobs in office buildings, homes or hospitals where noise is a real issue. So far, there are only a few on the market. 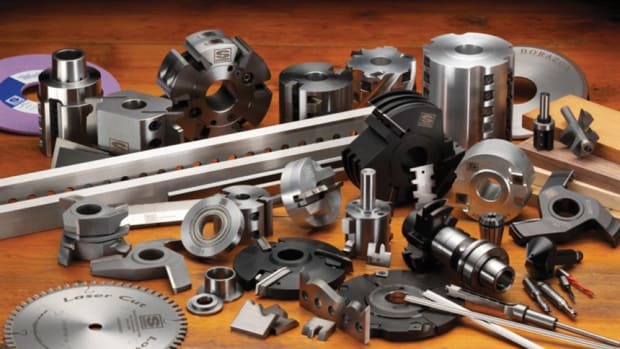 But as the battery technology advances, and more tools begin to use batteries in series to power larger equipment such as miter and even table saws, cordless compressors seem like a no-brainer. Nailing is the basic tool task on most jobsites. 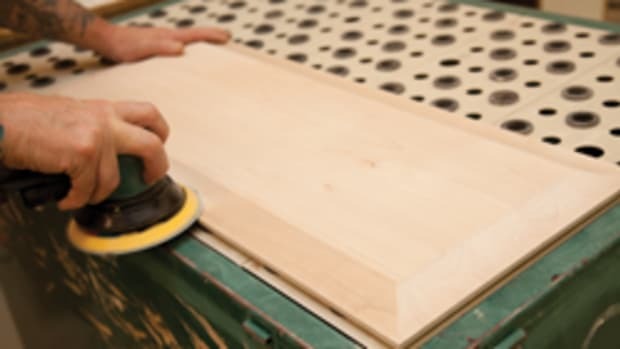 And what woodworker wouldn’t value a pre-charged compressor that can also run a touch-up spray gun, or perhaps an almost silent sander or router. As the batteries morph into behemoths or banks, we’ll soon see cordless framing tools that don’t need gas cylinders on board. There’s a difference between a cordless inflator that is designed to pump up a beach ball or a tire, and one that can run a brad nailer on the jobsite. Mostly, that has to do with storage. If it doesn’t have a tank, it won’t run your gun. If it doesn’t have enough battery, it will need to recycle so often it’s going to burn out before the job is done. 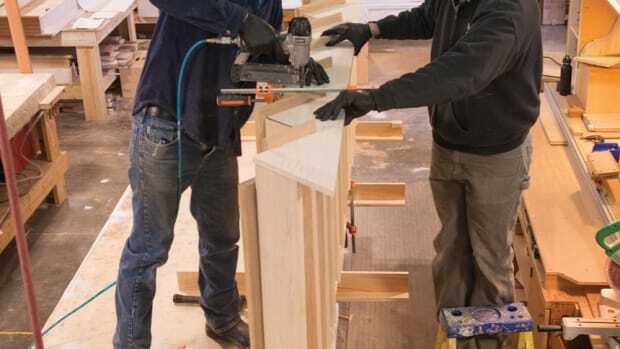 So before going shopping, see your nail gun’s manual for volume (standard cubic feet per minute, or scfm) and pressure (pounds per square inch, or psi) requirements, and check these against what the compressor can deliver. 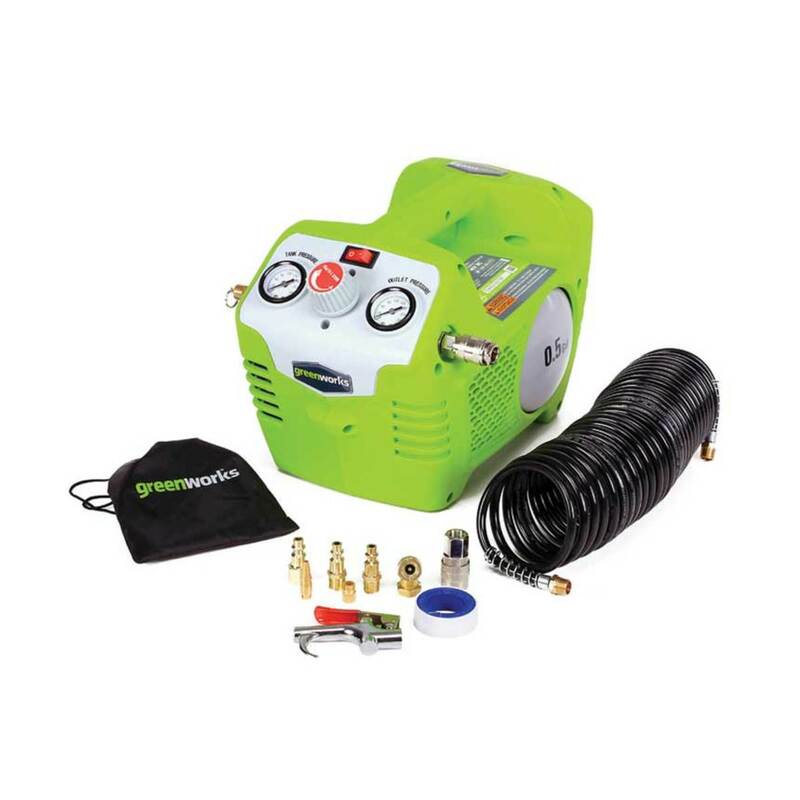 Greenworks (greenworkstools.com) has a 40-volt compressor, model 4100102. DeWalt’s model DCC2560T1 is a cordless air compressor that runs on 60 volts of battery power. 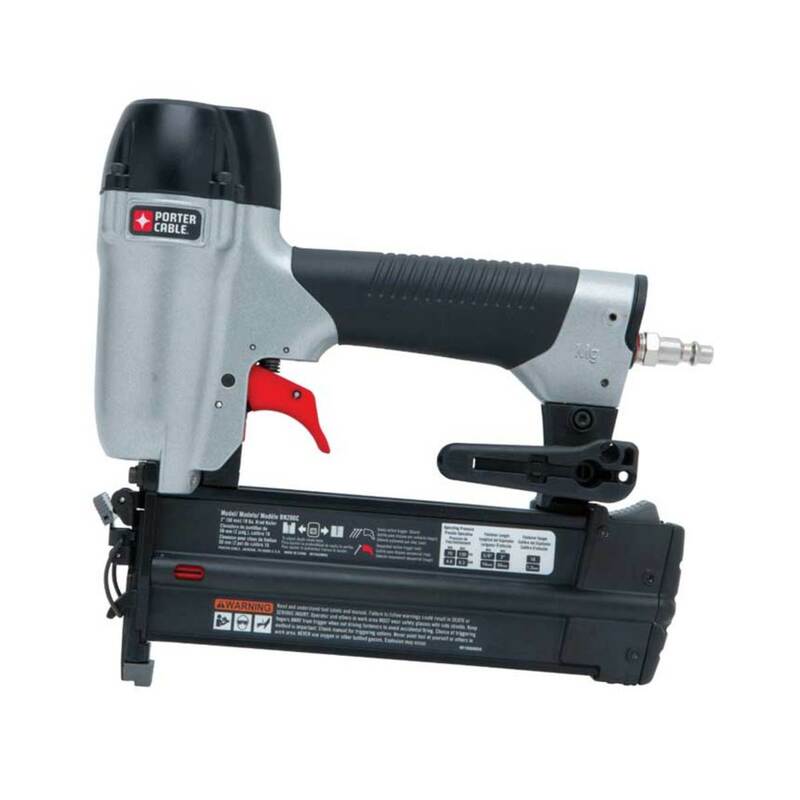 It has a 2.5-gallon reservoir, and a full battery charge allows for up to 1,220 nails. The tool’s OneTurn regulator means no fighting with a dial and it delivers a maximum 135 psi, according to the company. Ridgid offers a brushless 18-volt cordless compressor, model R0230, that has the ability to run off either one or two batteries. It’s a one-gallon tank, so it will cycle fairly frequently on most tasks. The maximum psi is 120. Ryobi’s model P739 is very similar.